LAFAYETTE, CO - With the Women's Eagles coming out of a historical Women's Rugby World Cup campaign, American rugby is truly exhibiting its progression on the national stage. In an effort to expand such growth, USA Rugby is excited to announce the appointing of Emilie Bydwell as General Manager to Women's High-Performance rugby. Bydwell is joining USA Rugby in a full-time capacity to advance the Women's platform from player and coach development to team supervision on both the 15s and 7s side. "The creation of this role represents a huge advancement for Rugby in the US, it is an honor for me to be first General Manager of Women's High Performance" said Bydwell, "I began to mentor and coach age grade athletes while I was playing, since then I've dedicated my career to developing players and pathways. Bydwell developed through the USA Rugby pathway, first finding the game at Brown University where she was a three time All-American and 2007 College Player of the Year. A year later, Bydwell made her Women's Eagles debut with the 15s team against England. Competing in the 2010 and 2014 Women's Rugby World Cup, she amounted 21 caps and was selected as Assistant Captain. Bydwell also competed on the sevens side during nine international tours and the 2013 Rugby World Cup Sevens. After retiring from play in 2015 with Saracens Women's Rugby, Emilie joined Team USA as Team Manager to the Women's 7's squad during the Summer Olympics in Rio. Emilie has committed the past six years to coaching and athlete development with Seattle-based, Atavus. As co-creator and coach to the USA Rugby Girls High School All-Americans and Director of Rugby Operations, Bydwell supported the evolution of the Atavus curriculum and philosophy, embodying it now as the top rugby training resource in the United States. USA Rugby currently partners with Atavus in producing the USA Rugby Academy, offering development camp opportunities to players around the country. Bydwell will continue to play an integral part in growing and developing the strategic partnership with Atavus. "We're excited for Emilie's opportunity to advance her career and will continue to work with her and everyone at USA Rugby to grow and evolve the game in the US," included Atavus's Julie West Prentice. "Three years of intentional programming and support of the women's side has already delivered results. 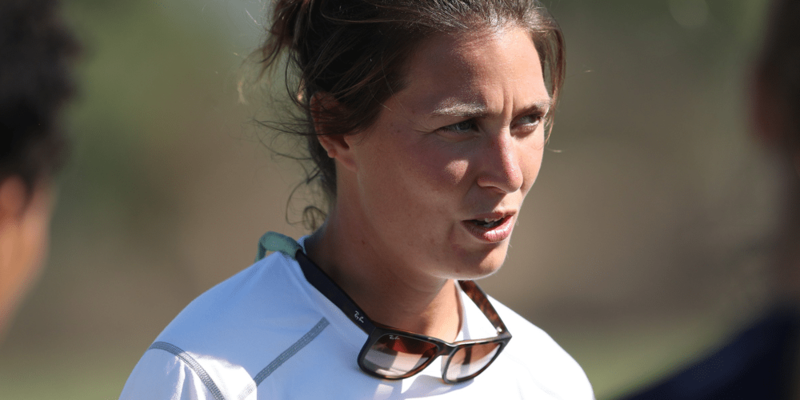 We look forward to what the women's game can accomplish with Emilie as the General Manager of the Women's High-Performance Program,"
Bydwell added, "I will always be hugely grateful to my extended Atavus family and especially Chris and Julie Prentice for giving me the opportunity to grow as a coach and a person. I would not be in a position to take on this role if not for the support I have had over the last 6 years. I have been involved with USA Rugby Academy since its inception and believe in the strategic partnership between the two organizations. I hope to help it grow and mature for the benefit of the game in the US." Bydwell's dexterity and trained insight now becomes an integral part of the USA Rugby progression on a global stage. With a remarkable display from the Women's Eagles in Ireland and Rugby World Cup Sevens in San Francisco quickly approaching, there is no shortage of opportunity for Women's rugby here in the United States. This is an important step forward as we look to provide support and structure to drive Women’s rugby forward in the United States.